A lot of guys who watch the Top Gear series think that the 2013 Range Rover is one of the best off road cars out there and our funny show hosts, Jeremy Clarkson, James May and Richard Hammond, think in the same way! The 2013 Range Rover is made to withstand any off road terrain and it loves letting you forget about car care even if it was built with extraordinary care of cars and impressive four by four or four wheel drive technology. That’s why today, I’ll show you one hell of an off road competition between the 2013 Range Rover and a robotised army car that can drive by itself, called the TerraMax Terminator; So get ready to see an epic off road contest like in the famous fable about the rabbit vs turtle race. The only question remaining is: Which one will win? The Range Rover kept going after the impressive driverless TerraMax, rumbling around in mud, icy water and sometimes top speed can really compensate a small lack of off road capabilities but I’ll let the auto world see for itself what happened in the end so you have to watch this awesome youtube video with one epic off road contest! 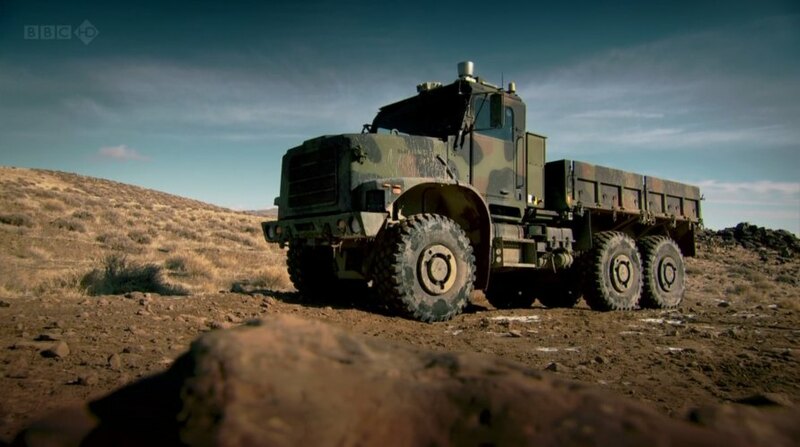 Next articleHow not to demolish a house with army vehicles, Top Gear style!